We feel it's important to give back to our community and support local organizations. If you are having a fund raising event, please submit the information about the event to the Store Manager at NorthTown or Alderwood Mall. 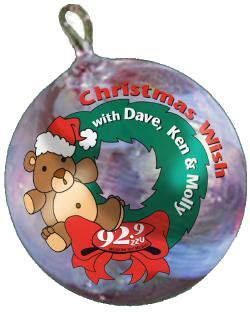 Dave, Ken & Molly have begun their 18th year of Christmas Wish. This 100% local program will give hundreds of families a helping hand this holiday season. 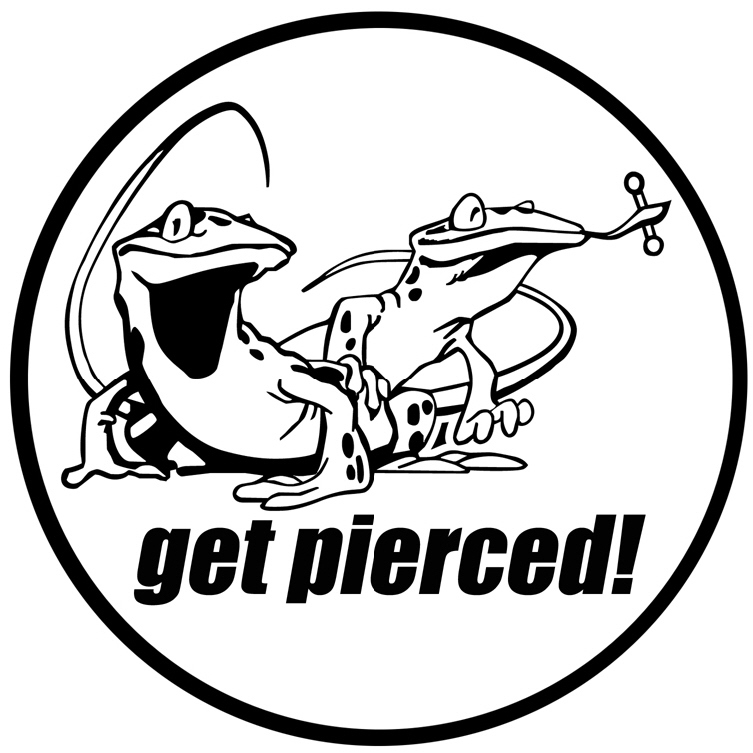 http://929zzu.com/common/page.php?id=110. For only $1.00 donation, you can help Dave, Ken & Molly deliver holiday cheer to local families. Thank You for helping us support this worthy cause! We collect donation items all throughout the year - they are always in need of these basic items. 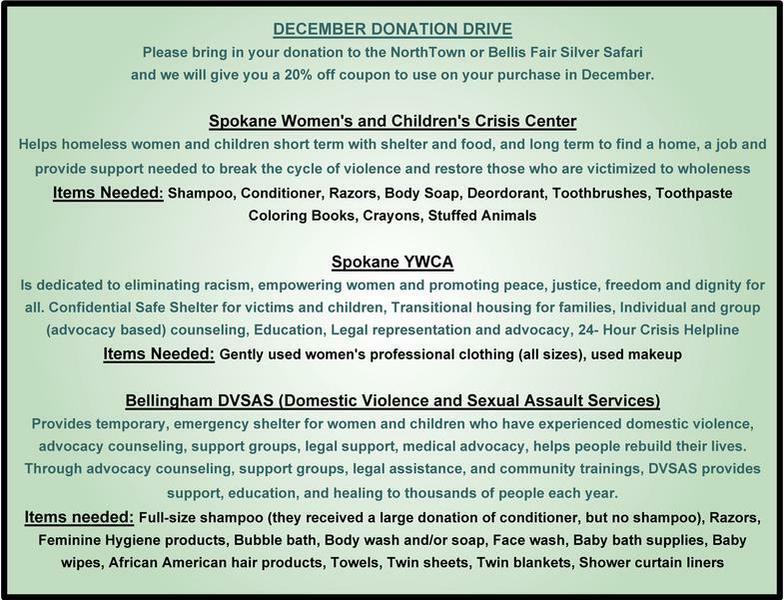 Even though we have a donation drive every December for the Women's and Children's Crisis Center they are in need of these basic items all year. Please drop off any items on this list at anytime throughout the year and we will make sure your items are taken to the center. 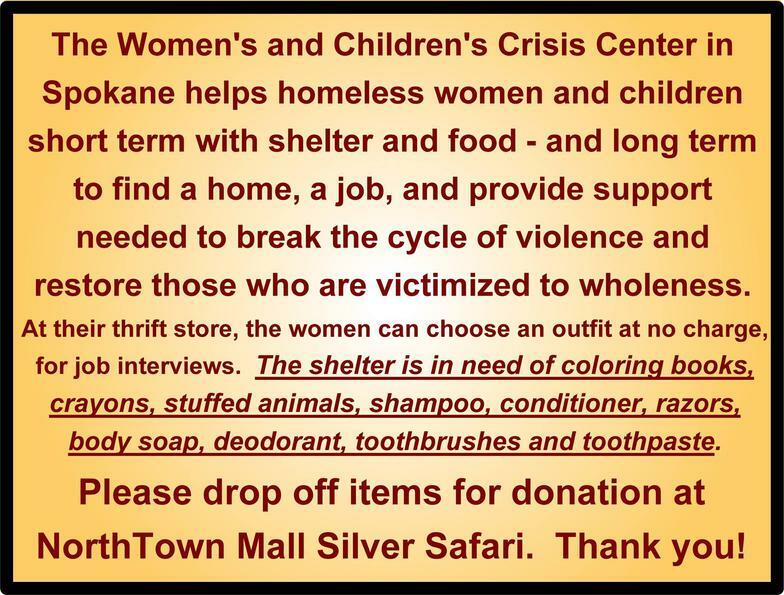 Thank You to everyone who donates these basic items. One bottle of shampoo, one toothbrush, one coloring book - one item, combined with others makes a big difference in the lives of these women and children! Saturday Evening, April 12th - 6:00 P.M. Early Check In & Social Hour Begins at 5:00 P.M. The Chocolate & Champagne Gala is Spokane’s most enduring gala and auction. Now celebrating its 30th year, this formal benefit is considered one of the area’s premier charity events. Guests will be greeted with champagne, decadent chocolates and desserts, and an elegant bistro steak dinner. This festive evening continues with a silent auction featuring unique items including travel and sports packages, followed by a live auction, a powerful agency presentation and special appeal. Join us on Saturday, April 12th at the Mirabeau Park Hotel in support of the Sexual Assault and Family Trauma Response Center (SAFeT), a program of Lutheran Community Services. Proceeds from this Gala benefit trauma survivors – many of whom are children suffering physical/sexual abuse or extreme neglect. The SAFeT Center provides therapeutic counseling, medical and judicial advocacy and support and education for victims of violent crimes and sexual assault. New Horizon Care Centers Inc.
Who Is Odyssey: OYC offers programs that provide LGBTQ youth with the necessary skills and support systems needed to combat homophobia, transphobia, bullying, and other forms of social oppressions that would hinder them from developing into happy, healthy, productive adults. Last year we served more than 250 youth, ages 14-21, in our drop in center which is operated by trained staff and community volunteers. 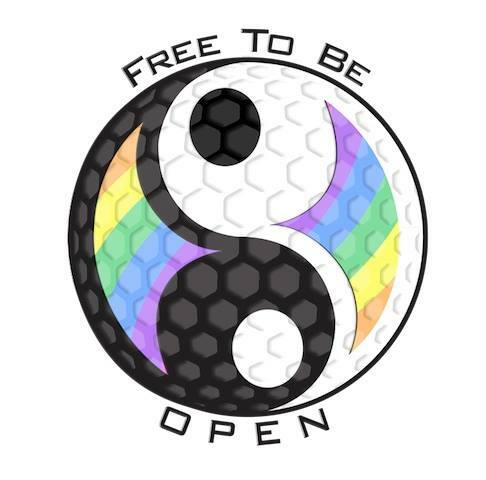 A 501(3)(c) nonprofit organization, OYC is the only youth center specifically supporting LGBTQ youth and their families in Spokane County and all of northeastern Washington and northern Idaho. What We Do: OYC offers Educational Programming, Leadership Training, Crisis Management, mentoring, Tutoring, Support Groups, Hot Meals, and Family Supprt. OYC also conducts LGBTQ focused training programs for outside organizations and youth providers. Why We Need Odyssey: LGBTQ youth face tremendous adversity in our society, often finding themselves the victims of physical and emotional bullying. Research shows that that homophobia, transphobia, and bullying are detrimental to LGBTQ youth's mental, spiritual, emotional, and physical well-being, as evidenced by high rates of attempted and completed suicide, violence victimization, substance abuse, homelessness, teenage pregnancy, and HIV/STI-associated risky behaviors.